Trauma recovery is tricky; however, there are several key principles that can help make the process safe and effective. This book gives self help readers, therapy clients and therapists alike the skills to understand and implement eight keys to successful trauma healing: mindful identification of what is helpful, recognising survival, having the option to not remember, creating a supportive inner dialogue, forgiving yourself for not being able to stop the trauma, understanding and sharing shame, finding your own recovery pace, mobilising your body, and helping others. 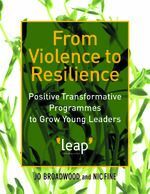 This is not another book promoting a new method or type of treatment; rather it is a necessary adjunct to self-help and professional recovery programmes. After reading this book, readers will be able to recognise their own individual needs and evaluate whether those needs are being met. They will have the tools necessary to put themselves in the driver's seat, navigating their own safe road to recovery. Dusty Miller's treatment model for addiction and self-injury, outlined in the best-selling Women Who Hurt Themselves, has been expanded in this new work to include the physical and spiritual impact of trauma. This how-to manual introduces new ways of thinking about self-care, self-soothing, and self-expression. The psychophysiology of trauma and trauma treatment. It is now thought that people who have been traumatized hold an implicit memory of traumatic events in their brains and bodies. That memory is often expressed in the symptomatology of posttraumatic stress disorder - nightmares, flashbacks, startle responses, and dissociative behaviours. In essence, the body of the traumatized individual refuses to be ignored. Shows how to integrate body and mind in the treatment of posttraumatic stress disorder. Unifying methods and models in the treatment of trauma and PTSD. Based on ideas put forward in The Body Remembers emphasises the importance of tailoring every trauma therapy to the particular needs of the individual client. Each varied and complex case is approached with a combination of methods ranging from traditional psychodynamic and cognitive approaches and applications of attachment theory to innovative trauma methods including EMDR and Levine's SIBAM model. Helping traumatized children develop a narrative about their life and the lives of people closest to them, is key to their understanding and acceptance of who they are and their past experiences. The Child's Own Story is an introduction to life story work and how this effective tool can be used to help children and young people recover from abuse and make sense of a disrupted upbringing in multiple homes or families. Explaining the concepts of attachment, separation, loss and identity, the authors use these as a context to describe how to use techniques such as family trees, wallpaper work, eco- and geno-scaling. They offer guidance on interviewing relatives and carers, and how to gain access to key documentation, including social workers' case files, legal papers, and health, registrar and police records. Covers the full spectrum of post-traumatic states. Provides a clear and detailed account of how these states can be recognized and includes chapters on diagnostic criteria, client assessment, the development and course of PTSD and the cognitive behavioural approach to treatment. Individuals in crisis need specialized interventions that are unlike other forms of therapy. The Crisis Counseling and Traumatic Events Treatment Planner, Second Edition provides a framework to offer crisis intervention effectively while incorporating the criteria necessary for managed care review and insurance reimbursement. The new edition has been thoroughly updated and provides all the elements necessary to quickly and easily develop formal treatment plans that satisfy the demands of HMOs, managed care companies, third-party payors, and state and federal agencies. If you've experienced trauma-whether as a result of common life events like accidents or abusive personal relationships or extraordinary experiences like war or natural disasters-you may find that the pain and emotional unease you feel don't go away over time. In fact, they may get worse. But the trauma you experienced lies in the unchangeable past. Because of your strength and perseverance, you survived, and now the rest of your life stretches before you. How do you want to live it? Finding Life Beyond Trauma is about living life well after a traumatic event. It uses the powerful techniques of acceptance and commitment therapy (ACT) to help you take a different approach to painful feelings and chart a new course for a rich and meaningful life. First, you'll learn to accept the pain, sadness, and anxiety that can arise in connection to your trauma. By exploring mindfulness techniques, you'll be able to remain present with painful feeings and stop avoiding the thoughts and situations that bring them up. Instead of focusing on the past, you'll clarify what you want your life to be about right now and in the future. With your values clearly in mind, commit to actions that will express them in your life-guided by the powerful tools you'll find in this book. This book is a practical introduction to PTSD and psychological debriefing, and offers an enhanced model of PD which the author terms 'Emotional Decompression'. Structured like a deep-sea dive, which has to include carefully planned safety stops on the way back to the surface to avoid getting 'the bends', this model provides time frames for how long to spend at various stages of the PD process, and when to stop for discussions and explanations. The focus is on aiding recovery from this 'invisible injury' over carefully structured time. The book presents a range of recovery models, from the 'simple' models developed by Williams and Horowitz to the more complex 'Snakes and Ladders' model developed by the author. Leading Researchers discuss cutting-edge ideas about the nature of trauma and its treatment. How empathy can jeopardize a therapist's well-being. Therapist burnout is a pressing issue, and self-care is possible only when therapists actively help themselves. The authors examine the literature from neurobiology, social psychology, and folk psychology in order to explain how therapists suffer from an excess of empathy for their clients, and then they present strategies for dealing with burnout and stress. Trauma can turn a person's world upside down--afterward, nothing may look safe or familiar. This supportive workbook helps trauma survivors find and use crucial skills for coping, self-understanding, and self-care. Even when the worst has happened, this book shows how it is possible to feel good again. Filled with comforting activities, relaxation techniques, self-evaluation questionnaires, and exercises, the workbook explains how and why trauma can throw you for a loop and what survivors can do now to cope. Chapters guide readers step-by-step toward reclaiming a basic sense of safety, self-worth, and control over their lives, as well as the capacity to trust and be close to others. Readers learn how to protect themselves from overwhelming memories and to heal from trauma-related reactions that may be disturbing their day-to-day lives. Written by experts in treating trauma and based on extensive research, the workbook can be used on its own or in conjunction with psychotherapy. This book bridges the divide between CBT oriented, evidence based practitioners and those who endorse a more relationship based approach to chronic traumas. The authors offer a components based model for the delivery of trauma therapy that clearly illustrates how these two approaches can be compatible. As Briere and Scott demonstrate, the science and the art of therapy are both honored when there is systematic application of treatment components in the context of specific client needs. This book is just what is needed to advance our field." How Sherman, who saw the most terrible thing happen, deals with his feelings and the outcome. This story is for chidren who hae witnessed any kind of violent or traumatic episode, indlucing physical abuse, school or gang violence, accidents, homicide, suicide, and natural disasters. 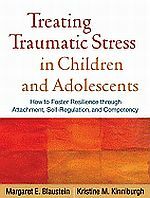 An afterword for parents and other caregives offers extensive suggestions for helping traumatized children. At the core of this book is the understanding of how trauma is imprinted on the body, brain, and spirit, resulting in anxiety, nightmares, depression, physical illnesses, addictions, hyperactivity, and aggression. Rich with case studies and hands-on activities, this book gives insight into children's innate ability to rebound with the appropriate support, and provides their caregivers with tools to overcome and prevent trauma. What constitutes a traumatic event? How and why does trauma affect people differently and what is a normal response? These are important questions asked by mental health professionals, counsellors, lawyers and primary care physicians on a daily basis. This concise yet comprehensive guidebook critically evaluates the evidence for causation and aetiology of post-trauma mental distress. It provides an accessible and highly referenced resource of practical advice and information which will be welcomed by a wide range of professionals, trainees and other interested readers. Healing Trauma - The Innate Capacity to Transform Overwhelming Experiences. Levine is intrigued by trauma. Having studied it for over 25 years, he is fascinated by the role the body plays in the recovery of trauma. Animals in the wild are rarely traumatized though they are threatened routinely. By understanding the dynamica that make wild animals virtually immune to traumatic symptoms, the mystery of human trauma is revealed. This book normalizes the symptoms of trauma and the steps needed to heal them. It employs a series of exercises that help us focus on bodily sensations.